During Riga tours make it a point to visit the Central Market located in the Old Town area. The beauty of this vast place is that you will get almost all things under one roof. The market by itself is the largest one in the Baltic region and one of the biggest in the World. Here you will find hundreds of sellers trying to woo you with their produces. Whether you are looking specifically for local goods or imported one, you will find them all and much more in the Central Market and this is what makes the place a unique one in Latvia. If you are new to Riga and are interested in sampling local foods, then you need to try local Latvian food in the market. The market sells different kinds of foods – milk, meat, bread, fish, fresh fruits, wild berries, hardware, clothes, etc. Spending some time here during your excursions in Riga will make it more special. Do not forget to try wild mushrooms and birch tree juice whilst you are here. They are quite a delight! The trading area in the Central Market is a large one. In fact, the entire market area is made of 5 pavilions and they were constructed in the early 1920s. The construction of this magnificent place ended in the 1930s. 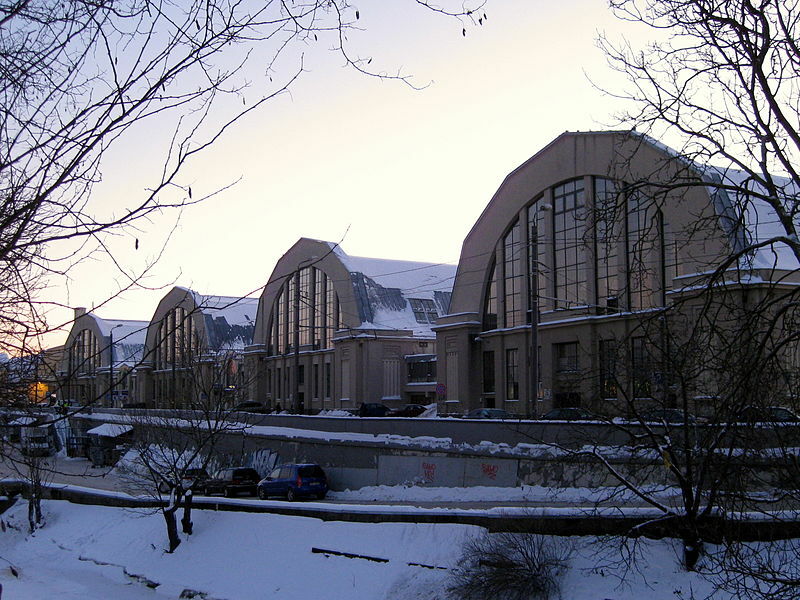 The old zeppelin hangars that were largely used during the First World War and that had been left unused in South West Latvia were made use of in constructing the roof of this market. The Art-Deco style that has been chosen to create the market’s facades gives you an insight into Latvia’s trade and creativity. The Central Market was the largest covered market in Europe when it was constructed in the 1930s. However, the specialty of this place does not lie in how big the structures are; but how big the outdoor trading area is. The old warehouses that were built using bricks in 1800s can be seen near the Central Market. The importance of the Central Market can be gauged from the fact that UNESCO has names this building a ‘World Heritage Site’ along with the Old Town. The electrifying atmosphere one can visit here never fails to attract thousands of visitors from across Europe and elsewhere in the world. Your Riga sightseeing endeavor has to include a visit to the Central Market just to get you a feel of how magnificent this place is and the quality of products you will get here. Spend some time in visiting the stall here and shop for different items like fresh bread and handmade treasures that are carefully designed and produced by local artisans. There are more than 3000 stalls present in the Central Market today. Therefore, you are likely to get the stuff you are shopping for here. Most of the items that are sold in this market are affordable and are sure to offer value to your money. Some of the stalls here that are exclusively set up local farmers are among excellent places in Riga where you can get quality and fresh local products. Whether you are looking for fresh meat or fish, bread or vegetables, you will get them all here. The Central Market is also an excellent place to shop for bakery items, fresh honey, and other products that can be saved or taken home. The market also sells several prepared food products like salted cucumber, warm bacon roll, etc. The best part with these items is that you can always taste the sample in the stalls before actually buying them. Therefore, a visit to Riga is considered less enjoyable and less memorable if you fail to visit the city’s Central Market. 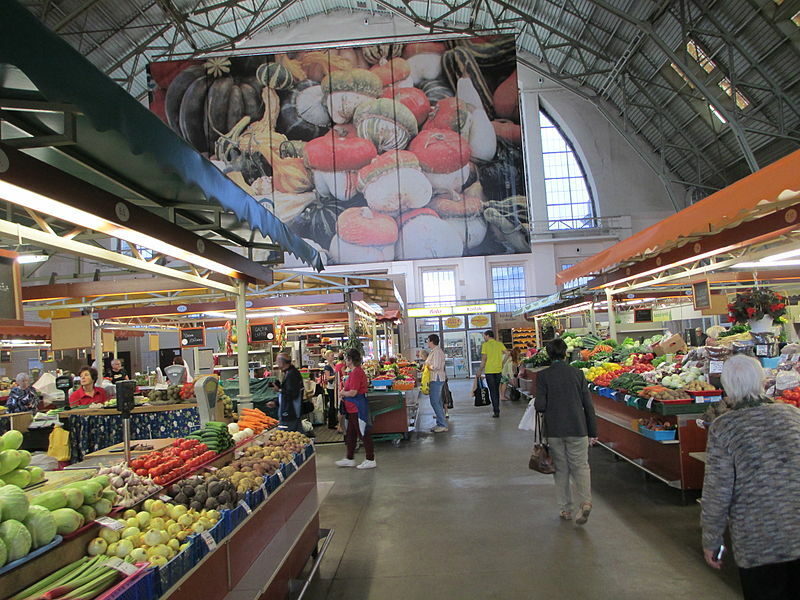 Your excursions in Latvia should make some room for a visit to this market. You will be delighted for sure!